Fig. 1. 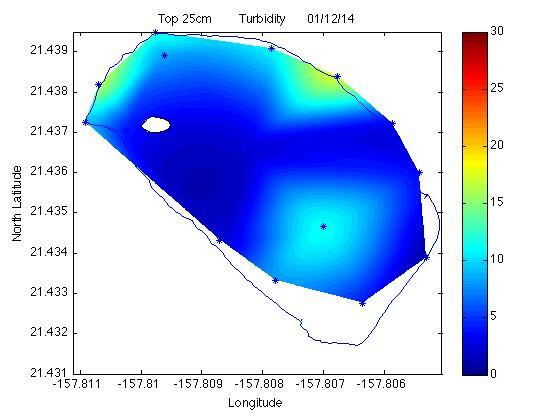 Sample of YSI temperature contours. Fig. 2. 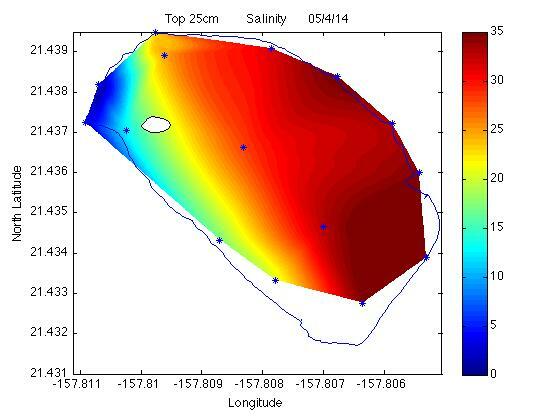 Sample of YSI salinity contours. Fig. 3. 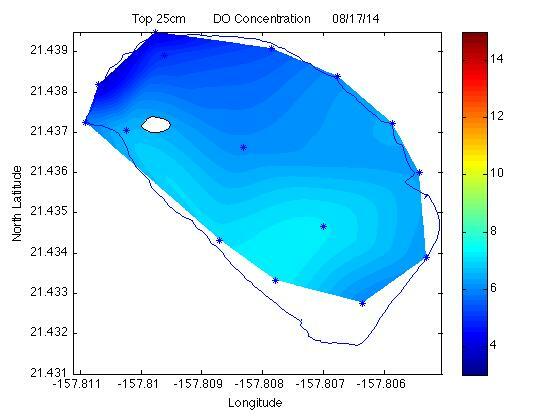 Sample of YSI pH contours. Fig. 4. 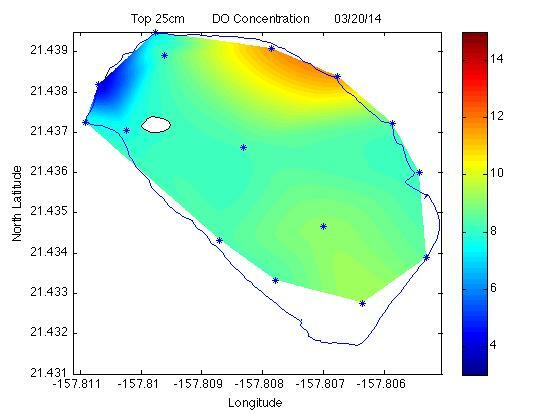 Sample of YSI dissolved oxygen contours. Fig. 5. 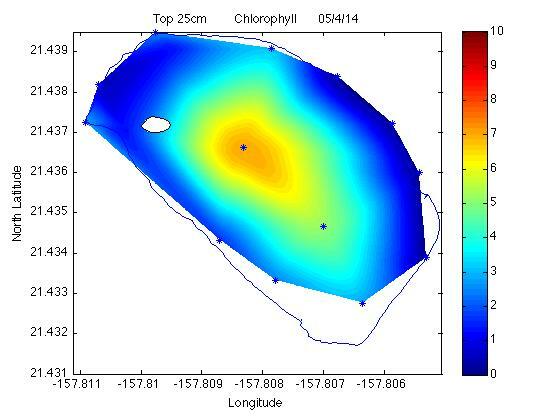 Sample of YSI chlorophyll contours. Fig. 6. 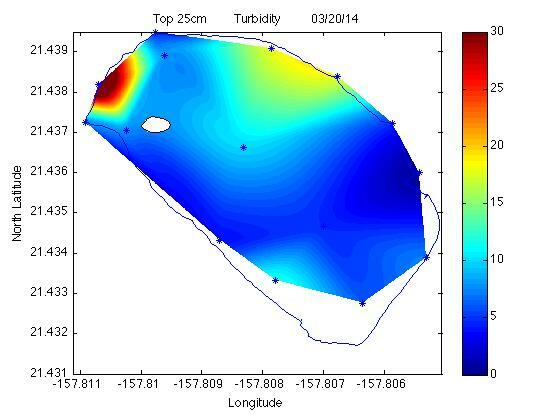 Sample of YSI turbidity contours.